This week’s post is by writer Elena Aguilar. 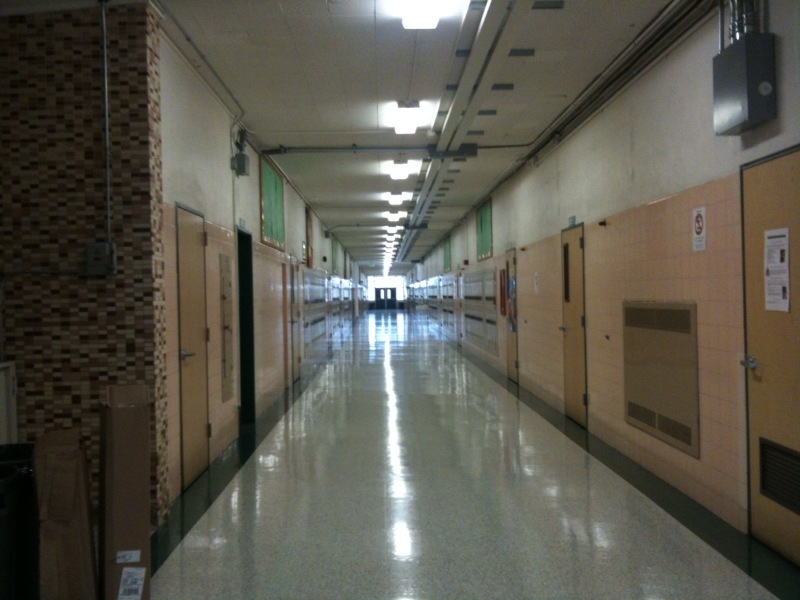 But it wasn’t the darkness that caught my attention; it was the light that streamed through the corridor and bounced off the freshly polished floors, scrubbed tile walls, and gleaming lockers. The light flooded the space, suggesting a way out of the despair that has long engulfed this middle school deep in East Oakland, in the flatlands inhabited by only the dark-skinned, the dark-haired. I have worked in the Oakland Unified School District for fifteen years, many of those as a teacher and now as a leadership coach, supporting principals to transform their schools. I arrived at Frick Middle School early. I like to be early. In the last few years, this school has slowly, steadily been getting better. I had time to appreciate the generic appearance of the hallway, devoid of the tagging that will soon be scrawled on walls. The summer cleaning was complete; the new year would start in a few days. I want information, I seek it out. But as the details emerge, the official and the unofficial, they make no sense, none at all; they create a sad, messy narrative of poverty and violence, another grim end result of centuries of institutionalized racism and classism. Yet the details also raise uncomfortable questions about individual responsibility, because ultimately, one man chose to pick up a gun and kill another human being. I reach for academic theories, spiritual explanations, words and meditations, but they offer nothing to quell the senselessness. It is very unlikely that my own son, my own dark-skinned child, will be another black man killed in the ghetto. I know why my boy is most likely assured of a different outcome than thousands of other boys in Oakland. And yet, on a fundamental level, I do not understand why I will sleep well tonight while Jimon Carter’s mother will not. scotopia: vision in dim light; the ability of the eye to adjust for night vision. A couple of girls approached me. “Did you know Jimon?” asked the tall one with long braids. “He was my neighbor.” They exchanged memories of Jimon and his identical twin brother, Jivon; then they listed the men they knew who’d been shot, stabbed, beaten, and “messed up” on the streets of East Oakland. I had to leave. I had to pick up my boy from school. We’d walk the three blocks home, along streets lined with oak trees and rose bushes, where no child has ever been gunned down, where there are no memorials to remind children of their murdered neighbors, memorials that another mother walking her six year old home from first grade will have to explain.